William Fredrick “Buffalo Bill” Cody (1846–1917) was at different times a trapper, miner, Pony Express rider, scout, wagon master, stagecoach driver, legislator, and Civil War soldier. 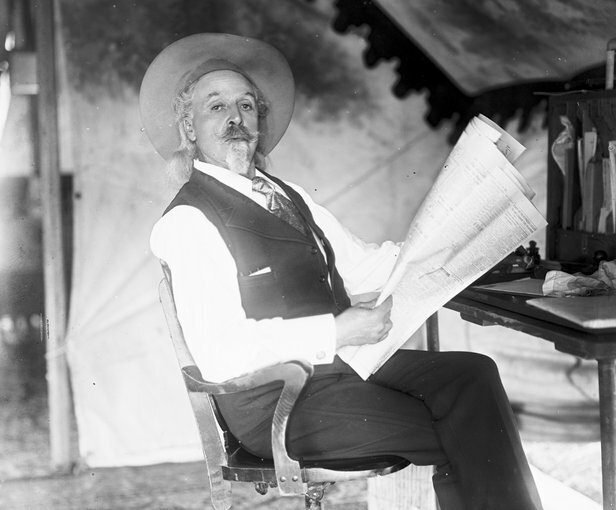 He earned his nickname, Buffalo Bill, because of his skill in supplying the Kansas Pacific Railroad with buffalo meat for its workers; in 18 months, he killed more than 4,000 buffalos. 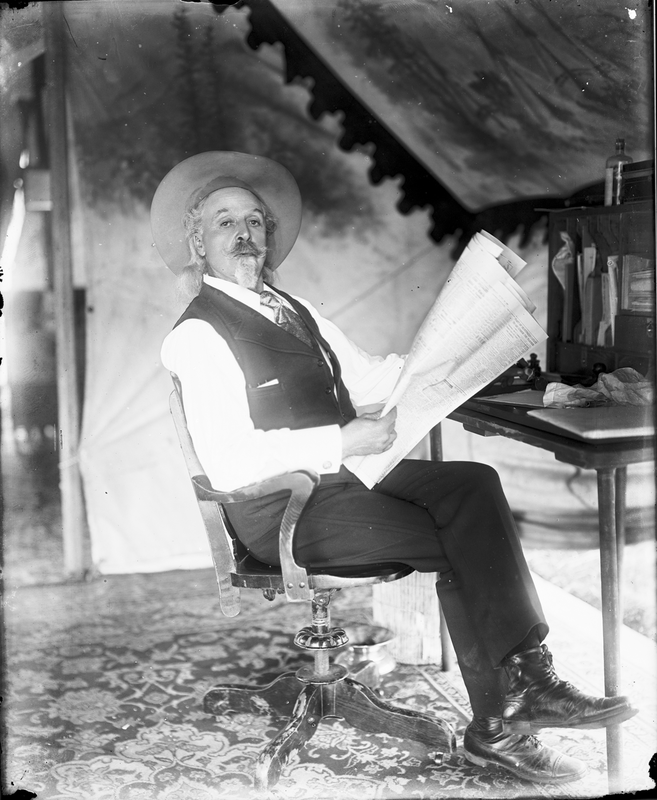 In 1883, he started the Buffalo Bill's Wild West Show in Omaha, Nebraska, using cowboys and Native Americans to portray scenes from the West. The show recreated daring rescues, heroic battles, and Native American dances, fascinating audiences around the world. The show went to Europe and was wildly successful. It was the main American contribution to Queen Victoria’s Golden Jubilee celebration in 1887, and the queen herself attended a private command performance. Cody’s Wild West re-enactment was staged alongside the World’s Columbian Exposition in 1893 and was the talk of Chicago. This 1907 portrait of Cody is by Frederick W. Glasier (1866–1950), a photographer in Brockton, Massachusetts, who documented major outdoor shows and circuses. Many of his photographs appeared in the circus publications of the day.